In general, updates for my projects will be slow for the month as I sort through some personal issues. My dog passed on and I’m missing him greatly. The holidays are also fast approaching and that’s always a busy time in everyone’s year. Never fear, for soon I will be updating regularly again! I have three projects underway, with Bereft: Ignite being the main work in progress. The novel’s slated to be near 70 chapters in length, and I’m very excited to continue into this forth installment of the series! In other news, my Tales of Harbinger series is continuing with the second installment, Mask of Ruin, and is going to be about 30 or so chapters in length. A standalone novel of mine, In the Shadow of the Storm, is well underway and will be near 70 chapters in length. I continue to work offline on Bereft: Kyra, though I can’t say when we’ll see it return. I hope to see it up again in 2018, perhaps once Ignite has been concluded. Thank you all so much for reading, and for your support! Bereft: Demise “Chapter 56 | Of a Hunt’s Finale” has been posted! Bereft: Demise “Chapter 55 | Of Steel and Sorrow” has been posted! Bereft: Demise “Chapter 53 | Of an Escalated Depravity” has been posted! Envy’s reaction to Pride’s escape! 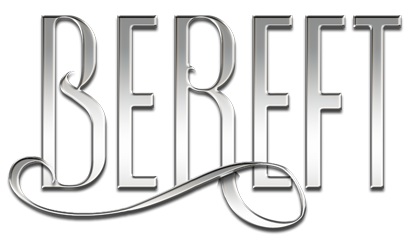 Bereft: Demise “Chapter 51 | Of Places Deep Below” has been posted! Bereft: Demise “Chapter 50 | Of Waiting Pyres” has been posted! A long awaited party has arrived at Crow’s End. Bereft: Demise “Chapter 49 | Of Sons and Daughters” has been posted! The identity of the terrifying titan is revealed! Bereft: Demise “Chapter 48 | Of Red-Eyed Sinners” has been posted! Part Six has begun with a rather interesting reunion! Bereft: Demise “Chapter 47 | Of a Fool’s Recollections” has been posted! This chapter marks the end of Part Five, with only twenty-two more chapters to go until the book ends!